I'm so sorryyyy for neglecting this blog for a couple of weeks. I was in a very tight deadline that I couldn't do anything else beside working on the deadline it self. 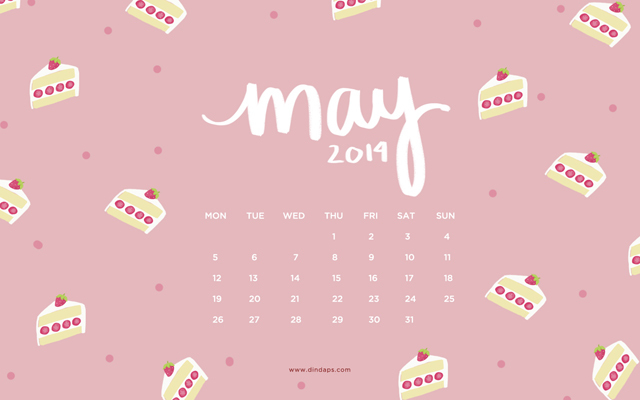 Anyway.... We are in May! Can you believe it? Time flies soooo fast (as I always said), its the 5th month of 2014 already. Its also my 7th month as a freelancer hahaha I couldn't believe it. 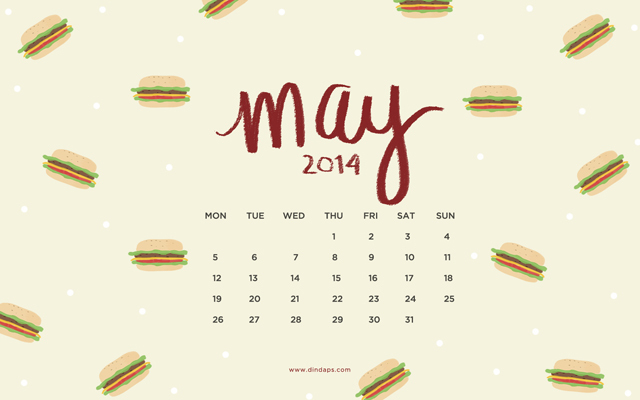 Here are two download links for May 2014 wallpaper calendar. I have two designs, as my apology for all the lateness. Hamburger and cheesecake! I'm a foodie so I couldn't decide which one I like the most hehehe. I really like both (designs and as meals), which one do you like? cute din.. tp coba kalo ada versi khusus Indonesia, ada hari libur yg berlaku disini, hehe..